My brother, Eric Black, is a professional artist. 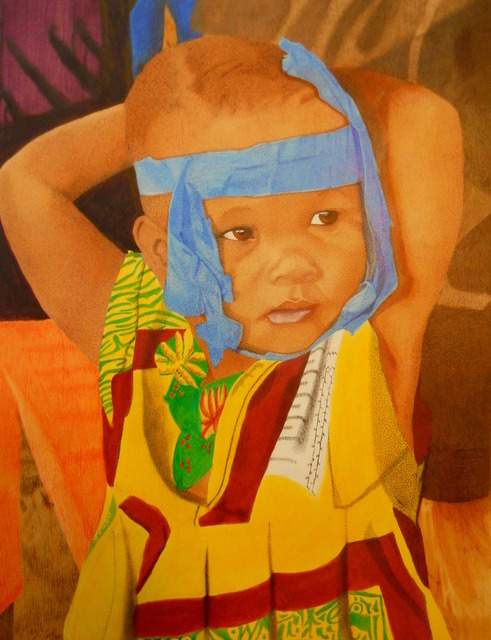 Recently, after I returned from a trip to Uganda, he asked to look at some of my pictures for a potential art project. To make a long story short, he produced a beautiful piece that is charming and heart-warming as well as having an interesting story. The piece is called “Nafula” which means “Rainfall” and is the name of the subject in the piece. He has offered to donate most of his proceeds from “Nafula” to the ministry of Meade International. So here’s how it works. For a gift of $200 or more, you will receive a signed and numbered print of the original. 10% of what is given will go back to Nafula’s village in humanitarian work of some kind. It’s pen and ink with a very little pastel, a delicate and unforgiving style that my brother has perfected. A giclee is a digital print, signed and numbered by the artist. Acid free, museum quality heavy cover stock paper. It is the the best art reproduction method available today. The story: I w as teaching church-planting to a group of pastor in a village on the back side of an island in Lake Victoria, Uganda. I often use painter’s tape to hold my white-sheets (portable whiteboard) in place on the wall. When I am done, I throw the tape away. I discovered though that few Ugandan children have ever seen tape like this (or probably any tape), and so when I am cleaning up, a line of children always forms to see what I will give them – they are always thrilled with the tape. I didn’t think much of it at first, but when I was finally packed up and made my way out to the car, I found that the children had decorated their faces with the bright blue tape. I have found this same phenomenon all over Uganda and have left behind many brightly decorated bands of urchins when I drive away. Nafula was one of those children. I just happened to snap this picture in a group of children, and it was the picture that captured Eric’s trained eye. It does make a beautiful art-piece for the wall. Are you interested? 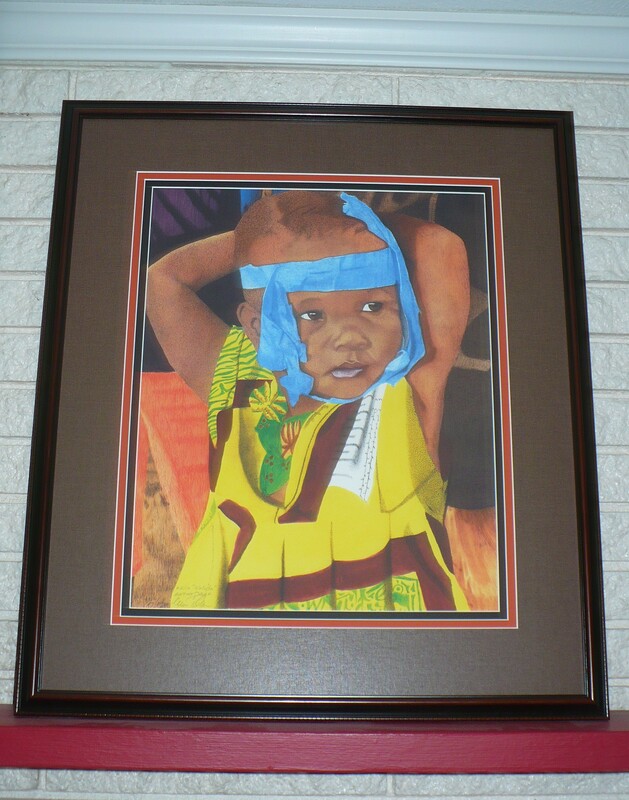 Send me a “comment” below requesting a print of Nafula and the amount you’d like to donate. I will contact you with further details, and soon your print will be on its way to you. I know you will enjoy her as much as I do.